How does teaching online compare to the classroom? How can teachers use their skills to make money? I’ll explain. What’s it like to teach online? In this article, I’ll offer tips for teaching online and describe two chances to get started. What did I wish I knew when I first started teaching online? Here are four lessons I’ve learned. Crystal clear communication. Remember, tone of voice is not heard when typing, so online communication must be clear. A comment that sounds caring in person could sound sarcastic online. Err on the side of caution. Remember that students are people. They finish work late, or make bad excuses, or blame teachers unfairly. In person, we use emotional intelligence to manage this. Online, we have fewer tools. Patience, good judgement, and clear communication are essential. You’re talking to someone’s child. Get students producing, not just consuming. With online teaching, it’s important for students to create authentic products (like the real published books BoomWriter Online Writing Camp students write). Feedback is powerful (and students want it). 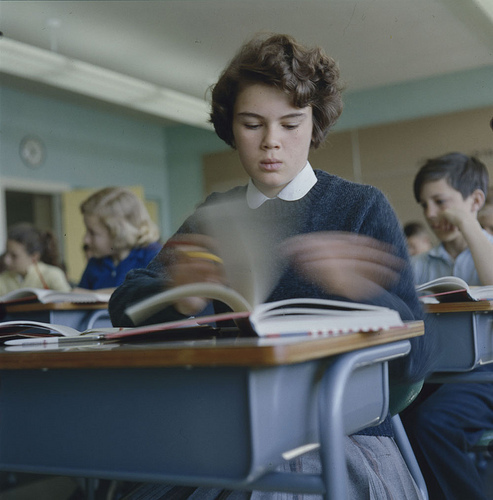 With most online instruction, students complete assignments alone. While chat and other technologies allow for quick communication, many classes meet asynchronously. This makes written feedback crucial. 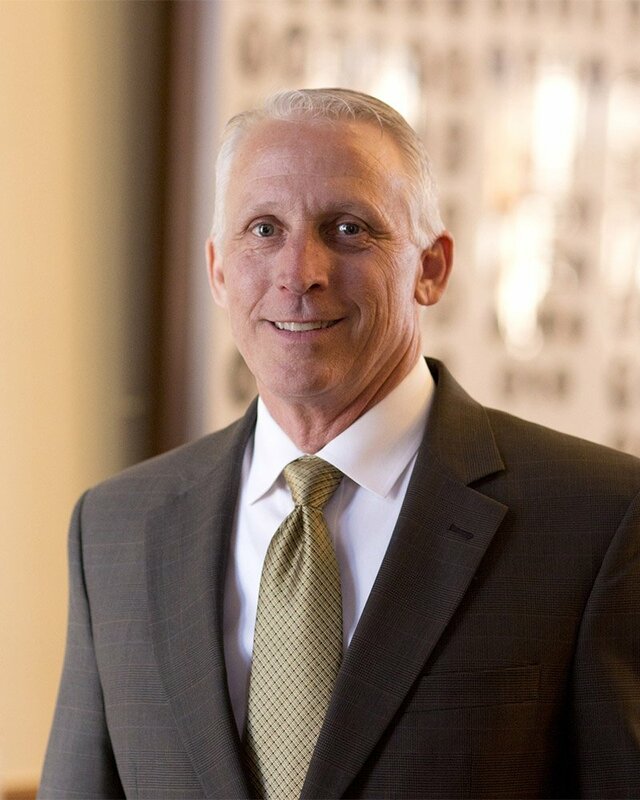 The SE2R feedback format, pioneered by Mark Barnes, is a great resource. A lot of teachers tutor in-person for extra cash. While it’s easy to tap into an existing network to find students, there are hassles with this side gig. Finding students, traveling, arranging locations, and sourcing materials are extra, unpaid set-up time. So what’s the alternative to building a tutoring business from the ground up? Many American educators have decided to teach remotely through an online service like VIPKID. Based in China, VIPKID connects American teachers to Chinese students who want to learn English. According to its website, VIPKID has a curriculum “based on U.S. Common Core State Standards and uses a flipped classroom approach to foster creativity and critical thinking skills.” Clearly, VIPKID works to use familiar language for state-side instructors. Because the students are in China, hours for tutoring differ from typical American teaching hours. Most sessions happen on Monday through Friday, 6PM – 10PM and weekends 9AM – 10PM. This might make for a long day, but these are also hours teachers are free at home. Another opportunity is BoomWriter Online Writing Camps. Despite the name, this “summer camp” has no sunscreen, mosquitoes, or dodgeball. I’ll explain. Each camp session is a one-week interactive online writing camp for students ages 7-13. Teachers register to run a camp utilizing the BoomWriter collaborative writing platform. BoomWriter provides the sales and marketing support, including the teacher’s personalized camp landing page that can be distributed to parents and handles all camp sales. Upon completion of each five-day camp session, the teacher receives approximately half of the fees for all students who have registered for that camp. Run a camp with 10 students? That’s about $700 for one week! Best of all, teachers and students do this all from home. The camp is remote — students and teachers can work from anywhere on their own devices and never meet in person. For each of the five days of camp, students receive a writing lesson created by BoomWriter. Teachers respond to students’ writing with advice and feedback, and then approve student submissions for peer review. Throughout the week, students collaborate to write and publish a realistic fiction story. Students each receive a printed soft cover copy of the story, complete with all contributing author names. For students and parents, there are great benefits. Kids participate in a fun learning experience that otherwise would not be possible. Summer reading is common, but summer writing is non-existent. Parents know that their students receive high quality help from a certified teacher. For teachers, benefits abound, too. Run the camp from home or anywhere with a laptop and WiFi. Because of the fee-sharing system, teachers make more money by registering more students for their camp. Just provide valuable feedback to students. There are no lessons to plan or grades to report. If you’re interested in flexing your online teaching muscles in a short-term, highly-engaging way (while making extra cash), then the BoomWriter summer camp might be for you. You can click here for more information. About the author: Gerard Dawson is a full-time high school English and Journalism teacher. He publishes articles on literacy, technology, and life as an educator at his blog, www.GerardDawson.org. Gerard can be reached @GerardDawson3. When a teacher, school, or district makes the decision to begin creating and using Open Educational Resources (OER), they must decide if they are going to create their own materials, use materials already created, or adapt existing OER to meet the instructional goals of their students. My advice is to adapt existing materials. There are so many resources available now that it makes sense to curate existing resources and tweak or remix them as necessary. That’s the beauty of OER. Because the resources are tagged as open, they were designed to be adapted. 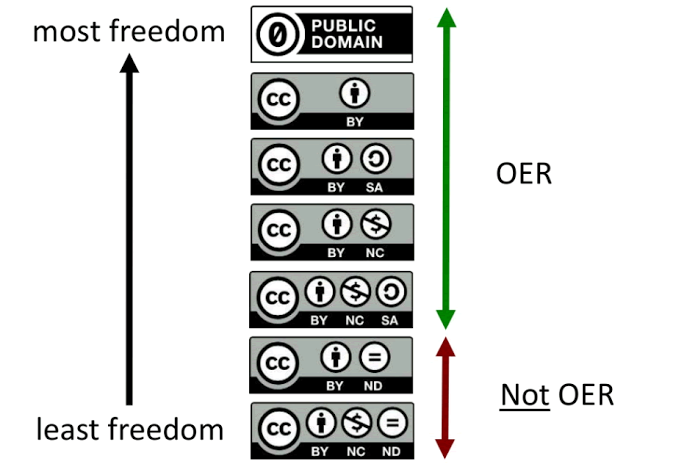 You just need to be sure you know what Creative Commons license governs the use of the OER. 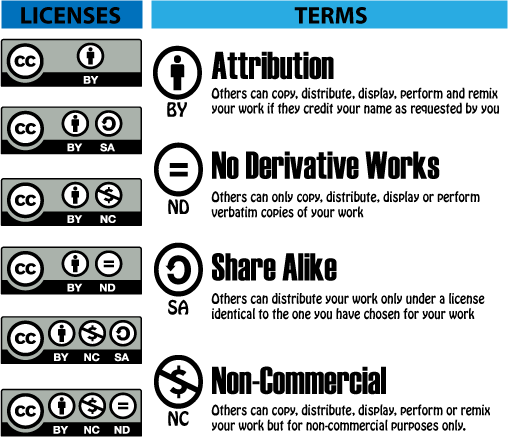 Still confused about Creative Commons licenses? See Miguel Guhlin’s blog post on the subject. The question becomes then where to start. With all the resources available, you may be asking yourself “How do I find what I need?” Let’s see if I can help answer those questions. I’ve done a little curating myself to assist you in finding what you need. We’ll start by looking at using common search practices and wikis, then drill down to specific types of media, and end by looking at some specific sites for education. Google: The most obvious place to start is to use the advanced Google search. Type in your search term; then, after you search for that term, click on Settings and select Advanced Search. Then click on the Usage Rights menu and select the one that best fits your need. CC Search: This sites allows you to search for items that have been tagged with a Creative Commons license over a variety of websites. But you need to note they don’t verify the results will actually be a Creative Commons licensed material. Also, it’s not a search engine, but rather they use various search engines. You select which search engine you want to use depending on the type of media you are looking for. Each of the Wikis included in the Wikimedia Foundation have a Creative Commons license for each wiki entry. Wikibooks: This wiki has a collection of books that are openly licensed. I searched for U.S. History and found an online book of U.S. History. A district could take this content and add to and/or adapt the material to create a text on U.S. History. The wiki even includes photos that could be used. If you like it as it is, you can even create a PDF of the content. Wikiversity: This is a Wikimedia Foundation project devoted to learning resources, learning projects, and research for use in all levels, types, and styles of education from pre-school to university, including professional training and informal learning. You can find learning resources for the arts, humanities, mathematics, social sciences, science, and technology. Wiktionary: This wiki is a dictionary that offers permission to use their definitions in your OER. It includes the etymology of the word and even different translations of the word in other languages. Wikisource:This wiki has items that are in the public domain, including government documents. Wikipedia: This is the original open wiki. Since it has a Creative Commons license, the information can be used in an OER as long as you follow the license. There are several really good sites that you can use to find photos or clip art for your OER. Pixabay: Pixabay photos are public domain, but they also have some images for sale. Unsplash: This is one of my new favorite sites to find free photos. The photos are beautiful, easy to identify and collect, and you are given the right to use, remix, and adapt for both non-commercial and commercial purposes. You are not required to give attribution for the photos you use. However, they make it really easy to give attribution, so I usually try to do so. Openclipart: This site gives you all rights to use their clip art for both non-commercial and commercial uses. They have put a chart together to answer any questions you might have in regards to using their clip art. Wikimedia Commons: This is part of the Wikimedia family. Use the CC Search tool to find YouTube videos that have a Creative Commons License, or when you are searching for a video within YouTube, put a comma after the search term and type ‘creativecommons’. For example: ‘abraham lincoln,creativecommons’. Vimeo: To find Vimeo videos that have a Creative Commons license, insert a search term on the main page and click enter. Then click on the Filter menu located on the left side of the page and click on one of the types of CC licenses you would like to use. Internet Archive : This site has free movies, films, and videos. I found a 1955 TV show based on the characters in Huck Finn and another video titled “Mark Twain’s Mississippi.” It focuses on the literary character of Huckleberry Finn to examine the Mississippi River’s influence on Mark Twain and his writing. Jamendo Music: This site has both free and fee-based music. cc Mixter: This site features remixes licensed under a Creative Commons license. Use the dig.ccMixter music discovery tool. I found a lot of good music that could be used in podcasts or videos. OER Commons: This is a digital library of open educational resources. It also has the Open Author tool that helps you create your own resources, lessons, or modules. The advanced search tool allows you to drill down to find what you need. There is also a section for groups to work together on resources. These groups can be public or private. This is a national site, so most of the materials will be aligned to the Common Core standards. Teachers in Texas will need to realign them to the Texas TEKS. Amazon Inspire: All materials in the Amazon Inspire have a Creative Commons license. The materials are either downloadable or links to pages. This site is still in a beta format. Open-Up Resources: This is a non-profit that has open instructional materials for both math and ELA. Check out this blog post on their math curriculum. The Texas Education Agency has partnered with Rice University’s OpenStax and Study Edge to develop some math OER specifically created for Texas schools. The Orange Grove: This is Florida’s OER Repository. cK12.org The CK-12 Foundation offers OER that can be adapted to suit the needs of a school, district, or student. El Paso ISD is using the CK-12 materials to build their own OER. Kahn Academy : These are short tutorial videos on a wide variety of subjects and topics. Pre-assessment questions are included, as well as practice quizzes a student can take as she views the videos. The videos are actually stored in YouTube, so they may be embedded in an LMS, a website, or can be used on the Kahn Academy site. Hopefully you are getting the idea that there are many places you and your team can find good quality OER. I have just scratched the surface. 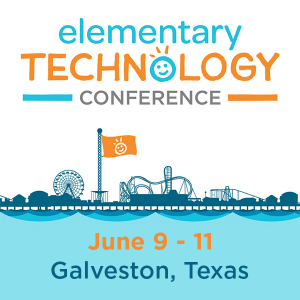 If you are coming to the 2018 TCEA convention (and if you aren’t, why not?? ), join Tom Murray and myself as we delve more into the topic of OER. Our session is on Wednesday, from 12:00 to 1:30. I hope to see you there. I’ll post the session resources here after the convention. 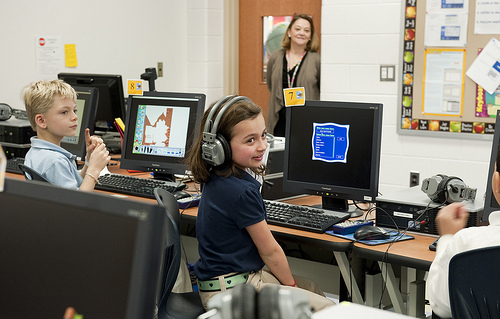 On December 12, the Texas Education Agency (TEA) opened its Request for Applications for the Technology Lending Grants. These grants, established by Texas Education Code §32.301, are part of the implementation of HB 3526 which passed during the 85th Session of the Texas Legislature. Providing Internet access at home is a strong legislative priority and why TCEA strongly supported HB 3526. I vividly remember the comment. I was speaking to some Texas technology directors to garner their support for more affordable broadband for Texas school districts when Joy Rousseau of Arp ISD stopped me and said, “If you solve the problem at school, but don’t solve the problem at home, you haven’t solved the problem.” Instantly, I knew she was right. If students don’t have access to the Internet at home, there will continue to be a digital divide, which is now known as the homework gap. This homework gap is real. According to the 2016 Speak Up Survey , 61% of Texas middle school students and 79% of high school students indicate they use the Internet at home at least a few times a week. 54% of the high school students use it every day. The student’s Internet use is not dependent on whether the teacher purposely assigns homework that needs the Internet because only 13% of Texas teachers indicate they do so. Students are going to the Internet for help in their homework because it is the library of the 21st century. Students without this home access are at a distinct disadvantage. They have fewer ways to access content and are not learning the necessary skills of finding accurate information to answer their research questions. The Technology Lending Grants made possible by this bill provide $10 million in funding for districts to purchase personal, portable wireless devices such as laptops, tablets, or other technologies that can provide students access to digital materials to meet school objectives while at home. 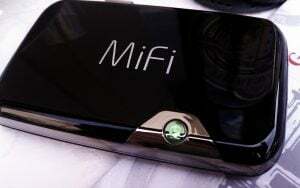 In additional to personal devices, the grant funds can also be used to help provide Internet access itself at home. The grants are designed to help school districts ensure that all their students have access to digital content and tools at home to improve the homework gap. There will be approximately 144 grants awarded, ranging from $50,000 to $150,000 each. The deadline to apply is Tuesday, February 6, 2018. For schools looking for help with the grant process, TCEA will be offering a free webinar with tricks and tips for writing and submitting grants. The webinar, which is open to anyone, will be January 9 at 2:00 p.m. The webinar is open to anyone. January 10, 2018 – Last date to submit FAQ’s to TEA contact person. August 31, 2019 – Ending date of grant. LEAs must have an enrollment of at least 40% economically disadvantaged students at the participating campus(es). LEAs must have a Technology Plan on file with TEA for the 2016–2017 school year or show evidence of a current local technology plan on participating campuses. See Required Program-Related Attachments on page 18 of the Technology Lending Program Guidelines. For information about applying for one of these grants, please see the TEA Request for Applications. After Hurricane Harvey hit Texas, Mike Morath, the TEA Commissioner, petitioned the FCC to provide some relief through the E-rate program for school districts and charter schools affected by the disaster. On Monday, October 30, the FCC released an order granting much of the relief requested by the Commissioner. The highlights of the order are below; however, this should NOT be considered legal advice. If your school or library was affected by Hurricanes Harvey, Irma, or Maria, I highly encourage you to read the order to make sure you understand the particulars. The purpose of the temporary changes to the rules is to assist schools and libraries that need to rebuild facilities and replace equipment destroyed by one of these three hurricanes, and take other steps necessary to reinstate E-rate eligible services for the students they serve (page 5). 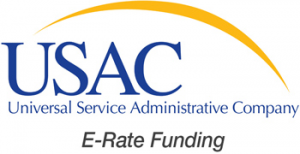 Any additional E-rate funding received pursuant to this Order will be used solely to restore E-rate eligible services to the level of functionality that immediately preceded the hurricanes (page 5). This additional support is only available after entities utilize other available resources such as insurance, public assistance monies from FEMA, or support from community organizations or donations (page 5). Schools or libraries that are located in what the FCC order identifies as “directly impacted areas” are provided relief in this order. These are schools and libraries that are located in counties designated by FEMA as eligible for individual disaster assistance and that incurred substantial damage to E-rate eligible services by one of the hurricanes. Schools whose student enrollment have increased by 5% or more because of the hurricanes are also eligible for some relief. Directly impacted applicants will be given some flexibility to substitute services based on their local needs without being constrained by categories of service or service types (e.g., applicants may substitute internet access service with internal connections and vice versa). For more details, see pages 6 and 7 of the order. 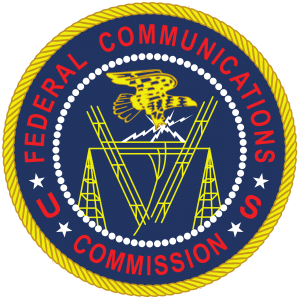 The FCC order establishes a second FY 2017 Application Window for directly impacted applicants. This will allow these entities to request additional E-rate discounts for the purchase of replacement products and services, subject to the parameters and limitations in this order (page 7). This second window will open 14 days after the release of this Order and will remain open for 30 days (page 8). My estimate is that, since the order was released on October 30, the window will open on November 13 and close on or around December 12. The USAC has not yet provided guidance on the exact date of when the window will open and close (page 8). The FCC also directed the Bureau to work with USAC in the coming months to formulate a plan for providing additional relief, if necessary (page 8). The directly impacted applicants may use contracts that were obtained and used for the submission of Form 470s and 471s in the first FY 2017 Application Window that resulted in a Funding Commitment Decision Letter (FCDL) from USAC (page 9). If new contracts are required, directly impacted applicants are required to wait only 14 days prior to selecting a service and submitting a FCC Form 471 requesting E-rate support (page 9). For services requested in the Second FY 2017 Application Window, all directly impacted applicants will receive a 90% discount rate for Category 1 services and an 85% discount rate for Category 2 services. This is contingent upon meeting the criteria set forth in the order (page 9-10). In addition, a new five year window begins for directly impacted applicants who apply for Category 2 services (page 10). If a school’s population has increased by 5 percent or more due to the hurricanes, they may also submit a supplementary FCC Form 471 during the Second FY 2017 Application Window to request additional funding. See page 11 of the Order to see the qualifying conditions to receive this additional funding. The USAC should be posting additional information soon. If you think your school or library might be eligible and this additional funding will assist in the recovery effort after the hurricanes, I urge you to read the Order and immediately take steps to take advantage of this opportunity. As new information becomes available, I will update this post. The USAC and FCC are hosting a free webinar on Monday, November 13 at 2:00 PM Central to provide information on the FCC’s order to provide emergency assistance to restore connectivity in schools and libraries affected by Hurricanes Harvey, Irma, and Maria through the E-rate program. You can register here. This blog was updated with additional resources on November 10, 2017. As school districts across the country have to tighten their belts just to make payroll, teachers are finding that, more and more, they must provide many of the necessary supplies for the classroom themselves. Whether it’s furniture, technology, books, manipulatives, or art resources, educators are scrambling to ensure that their students have what they need. One of the ways that teachers are achieving this is to create “fund me” projects on websites such as Donors Choose. Begun by a teacher at a Bronx public high school, the premise is simple. A teacher writes up a description of a classroom project that directly impacts students and posts it. Donors Choose helps to advertise the need and asks the teacher to reach out to her circle of friends and parents as well. Interested “backers” donate tax-deductible money to the website and, once funded, Donors Choose orders the requested resources and ships them to the teacher. The teacher thanks the donors and posts photos of the students using the new materials, along with thank you’s and stories from them. 76% of public schools in the United States have posted a project on the site, and more than $546,754,072 has been given by citizen donors thus far. While your classroom may really need $5,000 worth of Chromebooks, don’t make that your first request. Instead, start with a project that requires $100 to $300 in funding. Your project expires after four months, so you want something that will be funded quickly. After your first success, you can do additional requests (ready: copy and paste!) to add more of what you need. Take at look at other projects that are already posted that are similar to yours. Where did they get their pricing from? How did they explain their students’ needs? How did they describe the impact that receiving the requested materials would ultimately have on learning? Then have another teacher read over your proposal to see if it’s clear and also tugs at her heartstrings. People get involved and donate if you are able to tell a story that inspires them and touches them emotionally. Giving money like this is not a decision made by our brains, but instead by our hearts. So be sure you create a clear picture in their minds of your students and what this project will mean for them. Once you’ve submitted your project, it normally takes three days for the Donors Choose staffers to vet it. Then, if it’s your first project, keep waiting even after being approved. You will receive another email from them that gives you a promotional match code offer, which almost ensures that your project will be funded. Don’t start publicizing your need until after you receive it. Tips #4: Spread the Word! While strangers do have the ability to donate to your cause, you are more likely to be funded by people who know you, your students, or your school. So get the word out! Link the project on your Facebook account, send it out through Twitter. Add the link to your email signature. Post it in the teacher workroom and on the bulletin board at your church. Create a nice PDF (try using Smore or Canva or the templates that Donors Choose will send you) and share it with parents about what you are trying to do for their children. Include a photo of the item(s) that you have requested to help parents know what you are asking for. And explain how the promo code works and be sure to include it. The first seven days your project is posted are critical, so be quick about sharing it. Regularly check the Donors Choose Partner Funding page for special promotions and match codes that might apply, as well as on the Match Offers page. You can also follow them on Twitter and Facebook for more information. If no one has donated to your project in the first few days, go ahead and anonymously donate a small amount yourself. With the match code, this will show up as two donations. And people are more likely to donate to a project that already has some funding. Creating your first project only takes about 30 minutes. So grab a cup of coffee and get started now! IPEVO has created Wishpool, another way for educators to get more technology into their classrooms. Each month, a different IPEVO product is offered as a give-away. Teachers create an account using their school email address. They look at that month’s gift and decide if and how it might work in their classroom. They then “share a wish” by telling the story of how their students will benefit from the product. After 10 days, IPEVO will inform the teacher via email whether or not they can fulfill the wish. That’s all there is to it! This blog was updated with additional content and resources on July 10, 2018. TCEA is working very hard to ensure that the Texas Legislature enacts good public policy that is necessary to implement digital learning in Texas classrooms. Below is an update on what is happening related to educational technology. The Texas Senate Education Committee took testimony on SB 1483 that would provide grant funds to help give access to devices and internet for students who are unable to afford them. These grants would ensure that students have access to digital content both at school and at home. In the Project Tomorrow Speak Up survey, 81 percent of Texans who identify themselves as community members indicate it is important for students to have consistent, safe internet access outside of school time to be successful in school. The survey also revealed that 75 percent of Texas 6th through 12th graders use the internet at home for school work. Those who do not have internet access at home are at a distinct disadvantage. Not only do they have fewer options in terms of access to content; they are unable to develop the technical skills necessary in an economy driven by technology. SB 1483, authored by Chairman Larry Taylor (right), is designed to address this problem. Require deletion of student data whenever a school or school district requests that the data be deleted. You can watch the hearing live on the Texas House Video/Audio page. Require school districts to consider Open Education Resources when they adopt new instructional materials. You can watch the hearing live on the Senate Broadcast page. TCEA is working on behalf of Texas school districts to ensure that good policy is developed to assist in their implementation of digital learning. 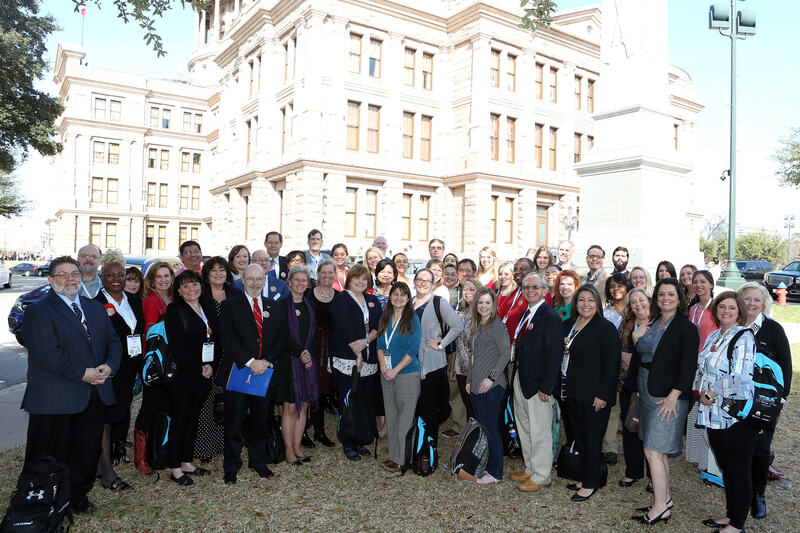 You can monitor these and other bills as they move through the legislative process and learn how to be more involved on the TCEA Advocacy site. Together, we can make a difference! Are you a public rural school or open-enrollment charter? Then you may want to review the eligibility requirements for a new Texas Virtual School Network (TxVSN) grant. The grant will be available in the summer of 2017 with the online application, negotiation, and award processes taking place during that time. All awards will be done by mid-August 2017. If you are interested in applying for the grant, be sure to complete the required task and budget templates. When complete, return to [email protected] by 5:00 p.m. CST, April 24, 2017. You will be asked to provide primary contact information, a proposed timeline, and a budget. The latter two most follow the supplied templates for each item. Rural schools must meet three criteria. The first is that they designate staff for “key student-support roles.” The second is that they set student expectations and readiness. The third criteria is that the rural school or open-enrollment charter completes the Statewide Course Catalog Public School District and Open-Enrollment Charter School Agreement. Has your rural school not participated in TxVSN before? The Texas Education Agency (TEA) seeks to give you first priority! Second priority will be given to schools who previously participated but no longer take part and now wish to renew their participation. Third priority will be given to currently participating TxVSN schools who seek to expand their involvement. For internet-connected students (at home, school, or both) who are selected to complete TxVSN courses, 60% of grant funds can be used to pay for their enrollment costs. For students who may need devices (e.g. laptop, mobile hotspot) to connect to participate in TxVSN, 20% of grant funds can be used to pay the costs of needed technology. For teacher(s) and/or counselor(s) who will provide additional student support beyond their current assignment and serve as student mentors, 20% of grant funds may be used to provide supplemental pay. For schools who may need funds to cover costs of TxVSN catalog courses for fall and spring of the 2017-2018 school year and summer 2018. Would you like to know more? Be sure to visit the web site for more information. TEA, TXVSN Central Operations, and Education Service Center (ESC) TXVSN Liaison staff can help and inform you throughout the application process. Acer is offering K-12 schools across the country a chance to transform a classroom with the gift of technology. 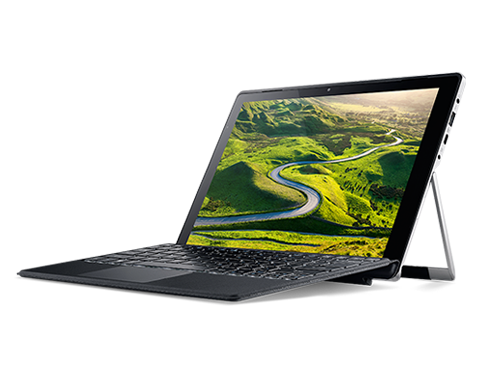 One lucky educator will receive a set of Switch Alpha 12 laptops with Windows 10—a powerful tool for students in the classroom and beyond. The approximate retail value of this classroom makeover grant is $20,970. Acer has partnered with education influencer and #EdChat founder Steven Anderson (@Web20classroom) to get the word out about this amazing makeover. Steven, along with a panel of industry experts, will help decide the winner. What makes your classroom unique? What would a classroom full of devices mean to your school? Acer wants to hear from you! Submit your story through video, images, or text. Tell them what this makeover would mean for your school and how these devices would help your students get excited about learning. Only one entry per school is allowed. Additional rules and the nomination form can be found here. The deadline for entry is March 31 and the winner will be announced by April 30. Get your entry submitted today! Sometimes, the promise is greater than the reality, the reality is more complicated than what was envisioned, and what was envisioned is more difficult than what was thought. This seems to encapsulate the legislative goal, but also the stark reality, of the Instructional Materials Allotment (IMA). Let’s take a look back to see how we got here so that what was envisioned by the 82nd Texas Legislature can become a reality. In 2011, the state was facing an unprecedented budget crisis. In order to balance the budget, the legislature made severe cuts, including $5.4 billion from the education budget. In this environment, the concept of merging state funds that had been devoted to purchasing technology and instructional materials was advocated in Senate Bill 6. This bill had much to offer districts. Prior to 2011, school districts could only select textbooks that were on the State Board of Education approved list. The state completely funded these books at no cost to the districts. The books may have been free, but the state-purchased textbooks did not meet all of the district’s instructional material needs and thus were often used only as a resource. This meant that, for many districts, they stored a vast number of textbooks in their warehouses or distributed them to students who then took them home and stored them in their closet. This is what happened in my house! You might be thinking, why weren’t the teachers using the textbooks? Aren’t they aligned to the state objectives? Why wouldn’t a teacher want to use a “free” resource that is aligned to the objectives? Those are great questions, and there are probably multiple answers. But my theory is that districts slowly began to move away from a heavy dependence on textbooks as the state accountability system began to gain prominence. In order to ensure their students would do well on the state tests, districts began to build their teaching curriculum around the testing standards, especially in the areas in which their students struggled. This led many districts to begin using textbooks as a resource and not the resource. The districts began to purchase additional resources to supplement the textbooks to match their teaching curriculum. This resulted in waste as many textbooks went unused while districts spent their local money to purchase materials to supplement the state-approved textbooks. One of the great achievements of SB 6 is that it placed the purchasing decision for instructional materials where it belonged — with the school district. The state now provides districts with a budget via the Instructional Materials Allotment to purchase whatever instructional materials they believe best meet their student’s instructional needs. This provides districts with complete flexibility on which materials they choose and in what format — print or digital. The district can choose materials from the SBOE-approved list or from a wide variety of sources. The hope is that, if the purchasing decision is made at the local level, it will ensure a more fiscally sound purchase and have fewer materials sitting on the floor of a student’s closet. Along with the flexibility of instructional materials selection, SB 6 eliminated the Technology Allotment which had been used by districts since 1992 to fund technology purchases at around $30 a student. SB 6 eliminated the Technology Allotment, but enabled districts to use the IMA to purchase technology intended for instructional purposes. The only caveat is that the district must first certify they have instructional materials that cover all the TEKS for each grade level before they decide to purchase technology with IMA funds. Although the IMA was envisioned by the legislators as a dual-purpose fund, in reality, it never fully met their expectations. Before 2011, the state had allocated around $270 million for the Technology Allotment for each biennium. Below is how districts have actually used the fund to purchase technology and instructional materials. The IMA expenditures for technology have fallen dramatically since 2011. In fact, since the passage of SB 6, districts have only used $232,484,243 for technology purchases, whereas the districts would have had $810,000,000 if the Technology Allotment had not been eliminated. School districts now live with the uncertainty of not knowing the cost of the next proclamation nor how much funding will be in the IMA. Prior to SB 6, the SBOE would establish a maximum price for any textbook that would be placed on their approved list. As expected, every textbook submitted for SBOE review came under that maximum price. Because the state was doing the purchasing, publishers could afford to offer the books at these prices because they knew they had a chance of selling a large number of books. SB 6 eliminated the maximum price because it was assumed that, with the new flexibility afforded in SB 6, business would decrease for the major publishers, which might mean that they would need to adjust their prices to remain profitable. The result is that the price of textbooks has increased and so has the uncertainty. Districts have no way of knowing how much the next proclamation is going to cost, so they often save whatever they don’t spend on the current proclamation to make sure they have enough for the next one. The IMA is funded from the Permanent School Fund. Every two years, the SBOE determines what percentage of the PSF can be given to the legislature to pay for the IMA and other education expenses. Per SB 6, 50% of the amount they send to the legislature goes into the IMA. Although this amount has gone up since 2011, districts cannot be certain that this will always be so. This uncertainty became apparent from the responses we received in a survey conducted in April of this past year. In the open-ended responses, districts indicated that this uncertainty is a major factor in their decision to spend very little of their IMA on technology. When asked why their district wasn’t spending at least $30 a student (IMA) on technology, 44% said it was because they were saving for Proclamation 2017. 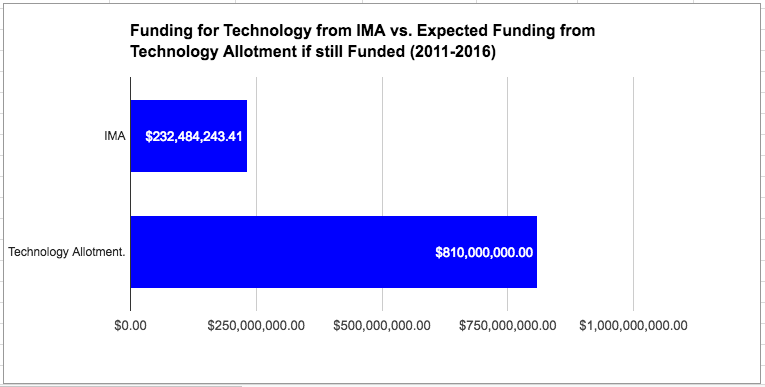 It is also becoming clear that, in many districts, they no longer see the IMA as a funding source for technology. 23% of the respondents say they never use the IMA for technology, and 47% indicated they rarely use it for tech purchases. This may be due to the fact that only 46% of the districts who responded to the survey always include technology staff in the decision-making process, and 23% of the districts never include these staff members. 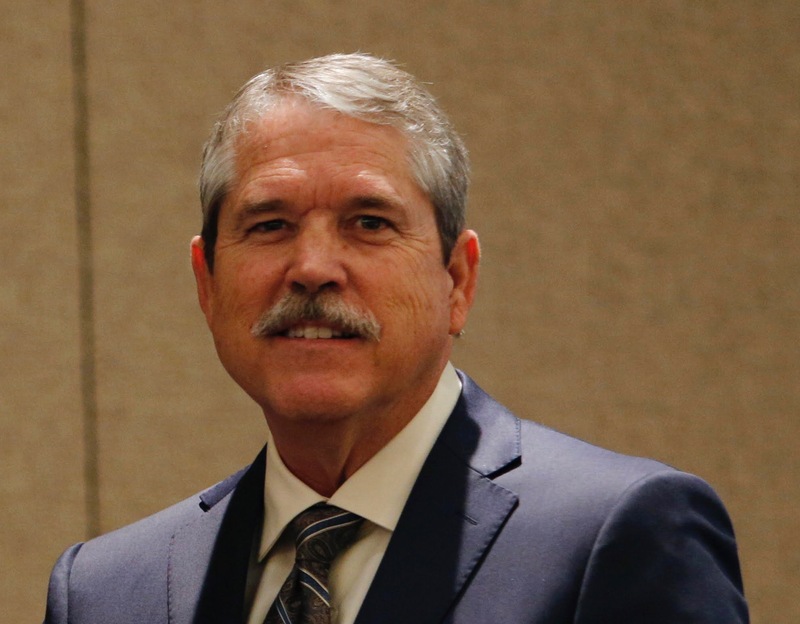 Since TCEA’s mission is to help districts implement a digital learning environment, the reduction in funding for technology is a grave concern. We have supported the structure of the IMA because we believe that technology should always be purchased within an instructional context. 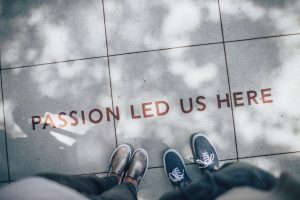 Because technology should support the instructional goals of a district, it is healthy for district personnel that support both to work together to determine how best to use district resources to meet the district’s strategic goals. This includes the IMA. That being said, we think Texas can do better. Digital learning is not new anymore. It is the way most adults do personal and professional business and how they obtain new learning as well. It is time for schools to utilize the same technologies within the learning environment that students are using outside of school. TCEA has done a lot of brainstorming and research about how we can move digital learning forward, and we feel like this is the time to act. The interest in digital learning from all branches of state government is at an all-time high. Next week, I’ll post a follow-up that will outline some policy changes that we think will have a positive impact on not only the use of the IMA, but also in breaking down the barriers of a digital education.